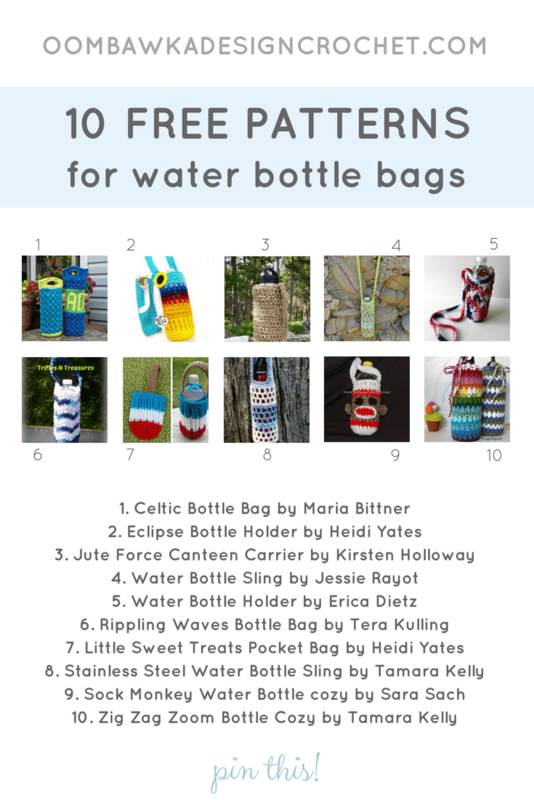 This week’s Free Pattern Roundup includes 10 patterns for water bottle bags. During the summer it is important to stay hydrated. I’m constantly giving my children their water bottles to take with them when they go to play outside. They tend to forget to come home for a drink during play-time. Water bottle bags are a smart solution for this. You can easily whip up a couple of these to give to your children to carry their water with them on the go. Or if you are going for a walk or a day-trip it is a much easier solution than carrying the bottles in-hand. There are a few different styles included below and some are sized for specific types of bottles. All 10 patterns included are available for free. 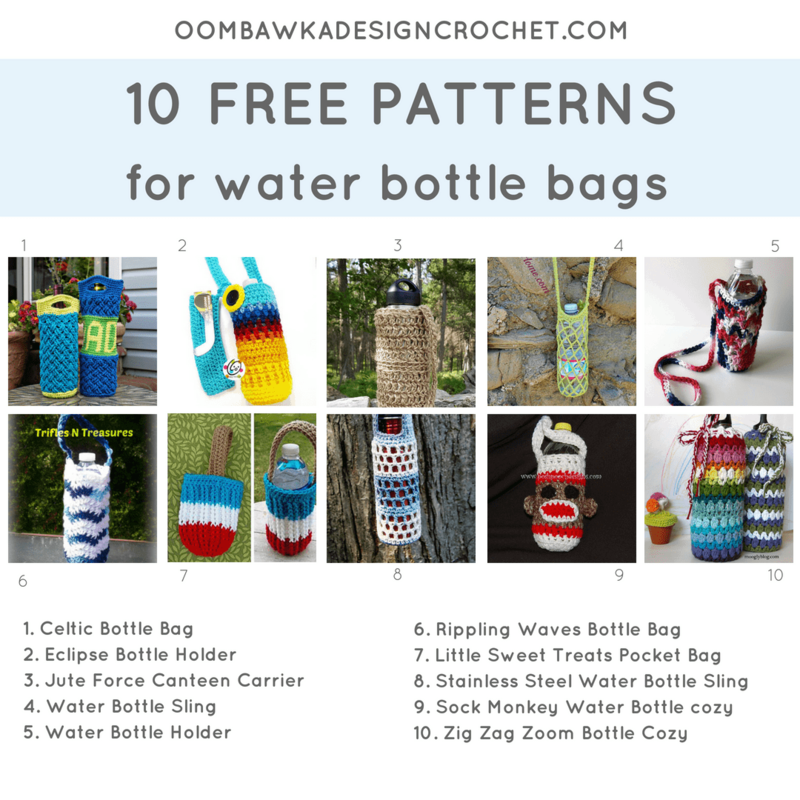 Choose the water bottle bag you want to crochet from the image below and then click on the title of the bag listed beneath the image. This will take you to the free pattern.